The university sector has attacked the government for pushing through the biggest set of school funding reforms in a generation, while slashing funding to tertiary institutions and hiking student fees. 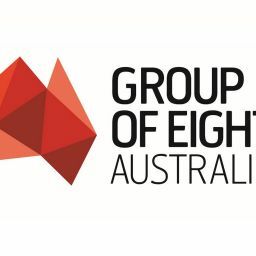 In a move that is set to reignite university funding battles, Group of Eight Universities chairman Peter Hoj blasted the Turnbull government for being “myopic” in cutting money from higher education. The university sector claims it was blind-sided by the government’s tertiary sector reforms, which were announced in the lead up to the budget, and says it has been unfairly lumped in the same category as the big banks – expected to do the heavy lifting on budget repair. Within days their complaints were stifled by the surprise Gonski 2.0 school policy announcement, which took up weeks of the education funding debate. “If Australia wanted to stay competitive and look after its citizens in the long-term, it is myopic to divest from the very activity that will allow you to have a high GDP per capita,” Professor Hoj told the National Press Club on Wednesday. Federal Education Minister Simon Birmingham fired back, accusing the nation’s most powerful universities of “clinging” to “rivers of gold”, which have seen a 71 per cent increase in funding flowing to the sector since 2012. Senator Birmingham, who is still travelling around the country attempting to sell the Gonski 2.0 to teachers, the Catholic sector and state governments, has repeatedly defended the university reforms as fair. He cites a Deloitte report, disputed by the university sector, that showed the average cost for universities increased by 9.5 per cent from 2010 to 2015 while revenue grew by 15 per cent. At the same time, salaries for vice-chancellors at some universities have pushed past $900,000. “I understand that universities want to cling onto every dollar they can but in terms of ensuring the future we need to put a bit of extra sustainability into their budget reforms,” Senator Birmingham said. Having lost the lobbying battle with Senator Birmingham, the universities now have their sights set on the crossbenchers crucial to blocking the reforms; the Nick Xenophon Team and Pauline Hanson’s One Nation. When university funding reforms were first shot down by the Senate in 2015, the Group of Eight supported full-fee deregulation. Opposed by Senator Xenophon, the changes would have allowed them to charge students as much as they liked to make up for less government funding. Professor Hoj conceded full-fee deregulation was not a “live option” in the current environment, but would not rule out pursuing it down the track. He warned that the “balance is tilted in the extreme” towards the international student market.